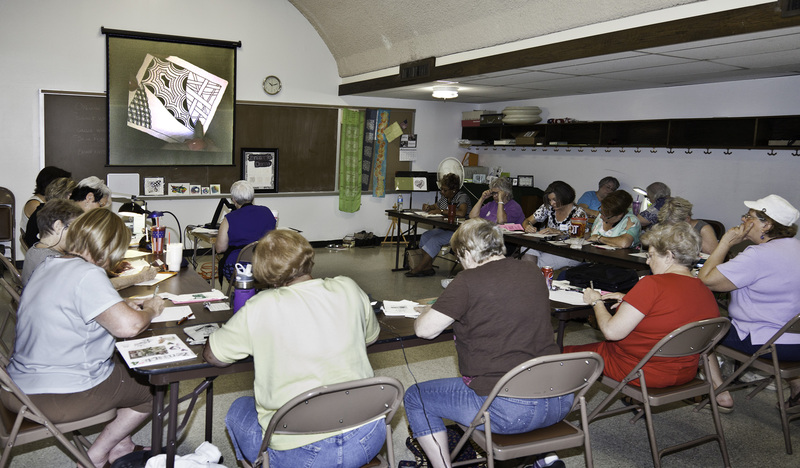 Over a year ago I contracted with the Prairie Quilt Guild to present a lecture and workshop on Zentangle. Who would have known that a year later, when it was time to do the presenting, that I wouldn’t have to take off from work to complete this?? Things happen for a reason, no? 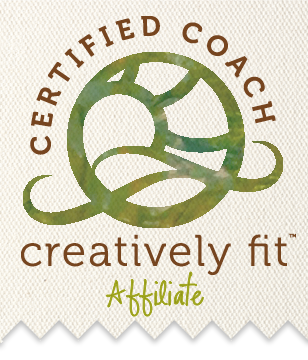 I was able to do my presentations and workshops without worrying about using my PTO (paid time off). Plus, it was a paid lecture/workshop event, so I even made a little money (good thing…bills have to be paid)!!! 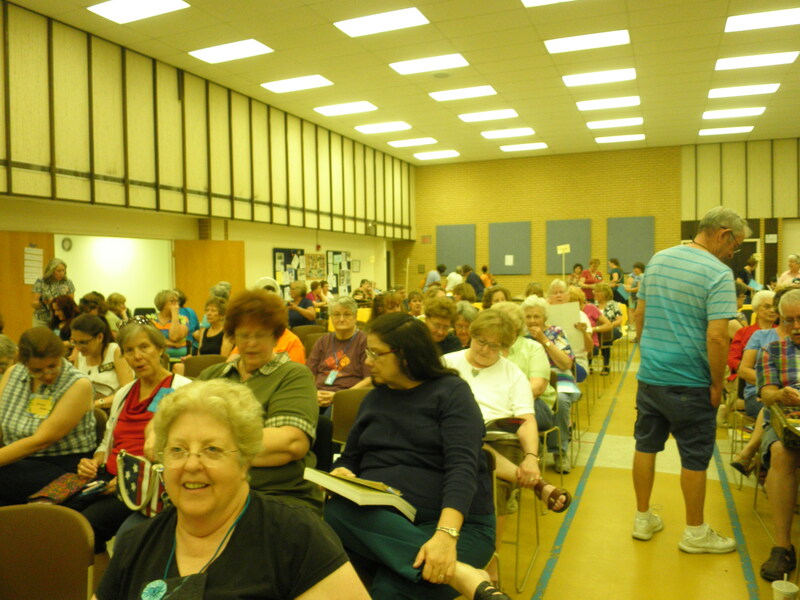 The morning lecture had about 200+ people and the evening lecture had about 100+ people, so I was quite excited to expose Zentangle to this group of quilters! 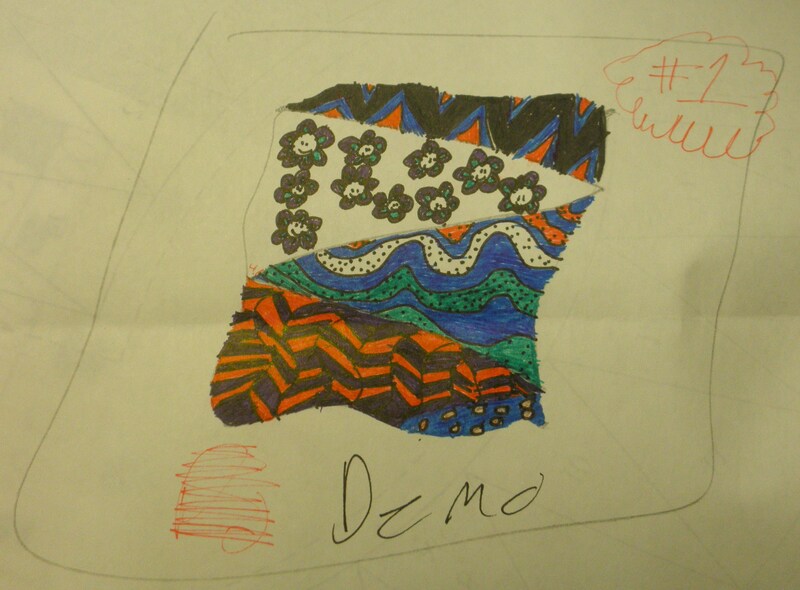 A few of them had already experimented with Zentangle on their quilting and were looking forward to taking the workshops – they were very excited about translating Zentangle to their quilting craft!! The new document camera!! Ain’t it sweet?? The workshops were well received. I had 16 participants who attended both workshops. For the beginner workshop we learned the basics and completed a tile which is shown in the mosaic on the left. In the advanced workshop we worked on black tiles. All I can say is ZENTABULOUS!! The black tile mosaic is shown on the right. I have to tell you a story, too! While we were in the workshop, one of the quilt members stopped by to introduce us to her granddaughter, Holly (to show us what Holly had created). 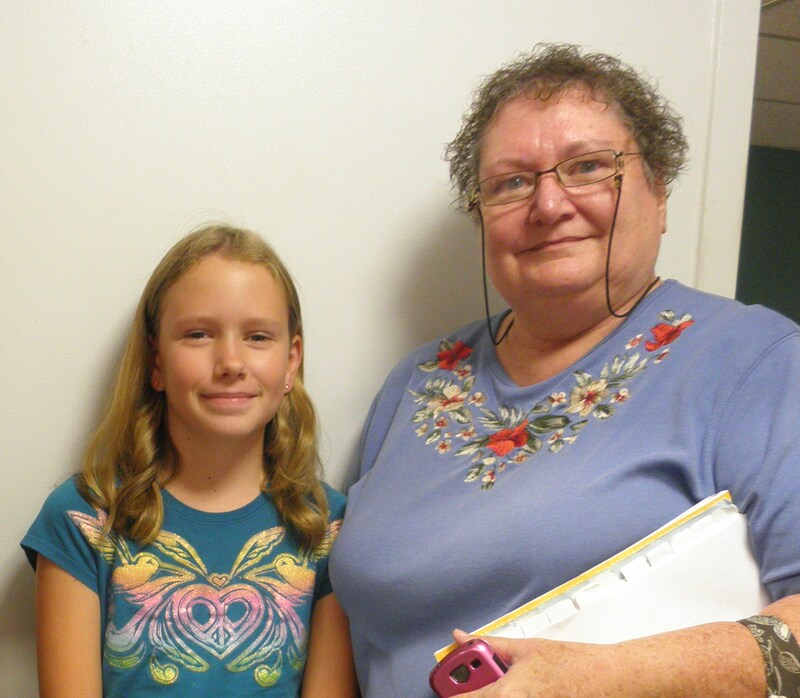 Holly had recently attended quilt camp and had come to the meeting the day before with her grandmother to sit in on the lecture I gave about Zentangle. After the lecture she and grandma purchased a couple of Zentangle books I had for sale. 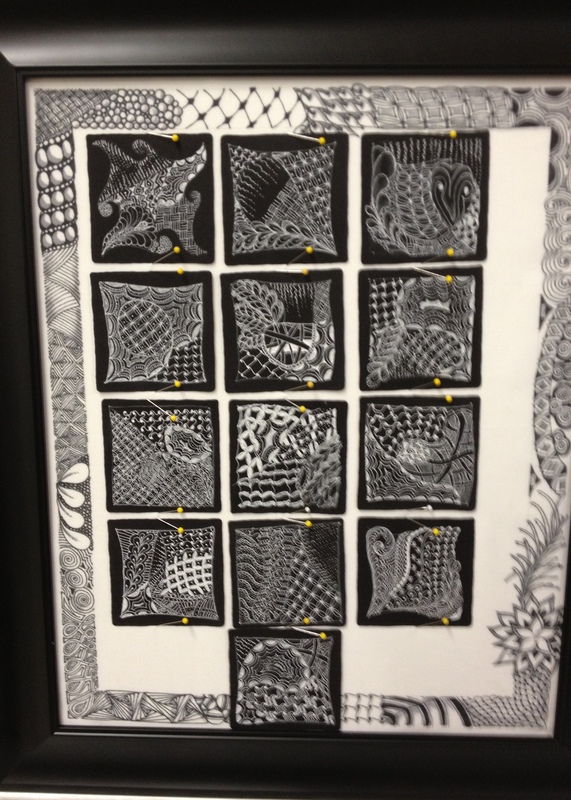 Holly promptly went home and created a Zentangle even before she opened the books. She had seen the pictures on the screen during the lecture and enjoyed it so much that she just stated tangling!! 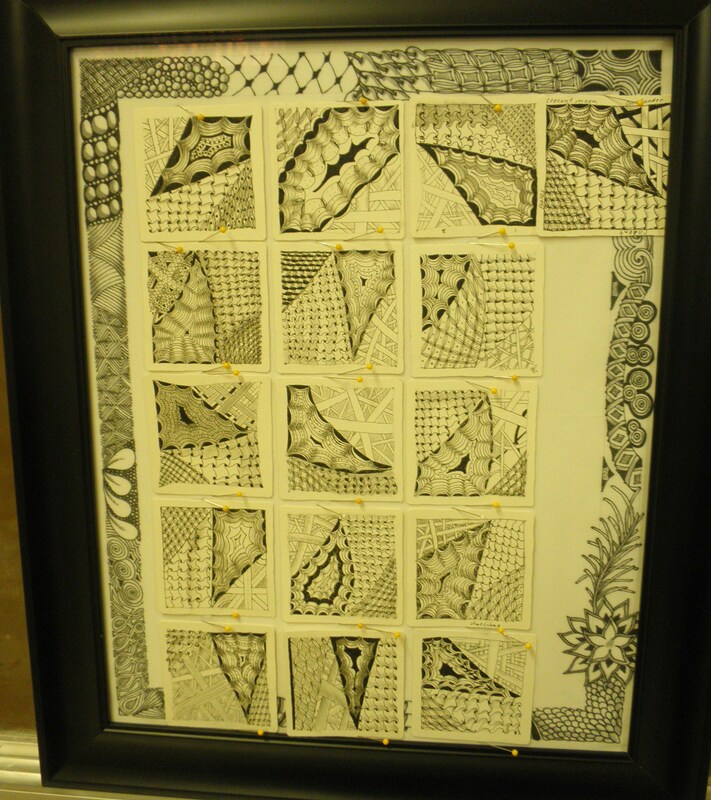 This is one of the reasons I love sharing and teaching Zentangle! You just never know who will catch the fever! 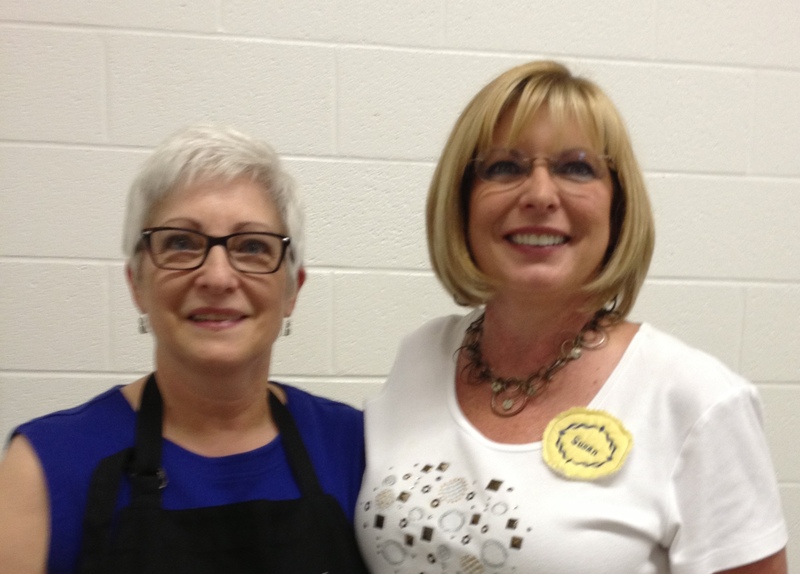 AND, I would be remiss if I didn’t give a shout out to those who helped make this program possible for me – Evelyn Gernaat, PQG President; Susan McMillan, VP of Programs; Donna Loehr, Workshops; Shirley Prouse, Publicity; and Mary Ann Smith for being my helper in the workshops! Without your incredible efforts and coordination this would not have been possible! ZENTABULOUS!! !